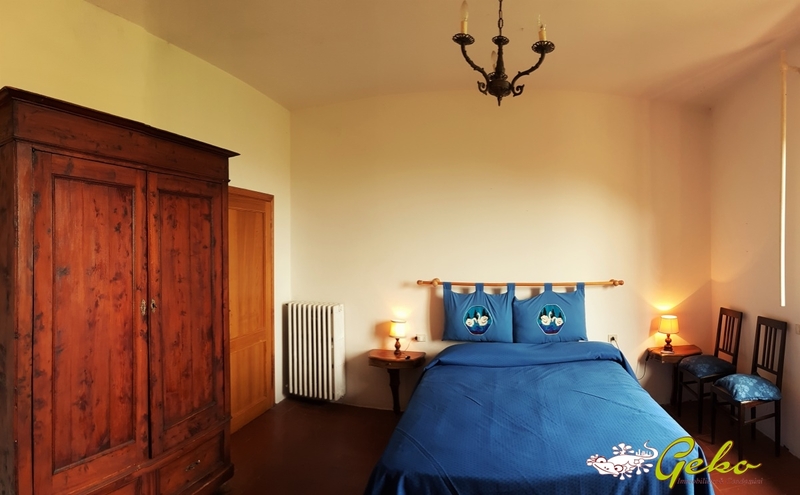 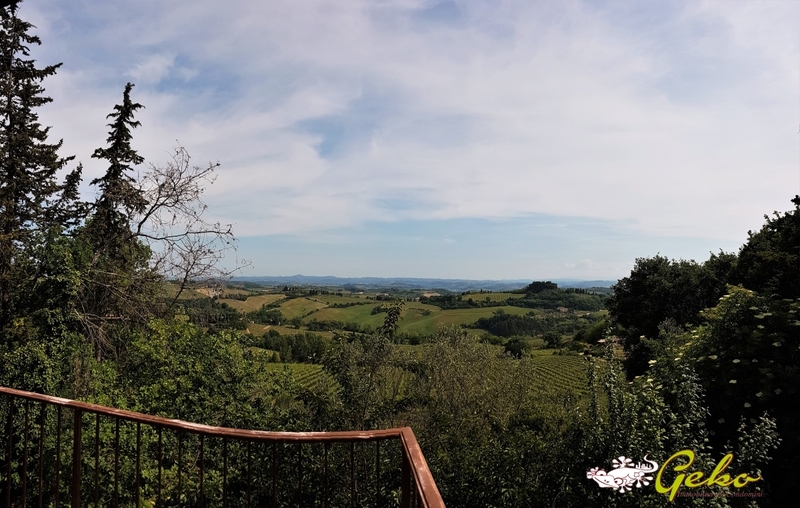 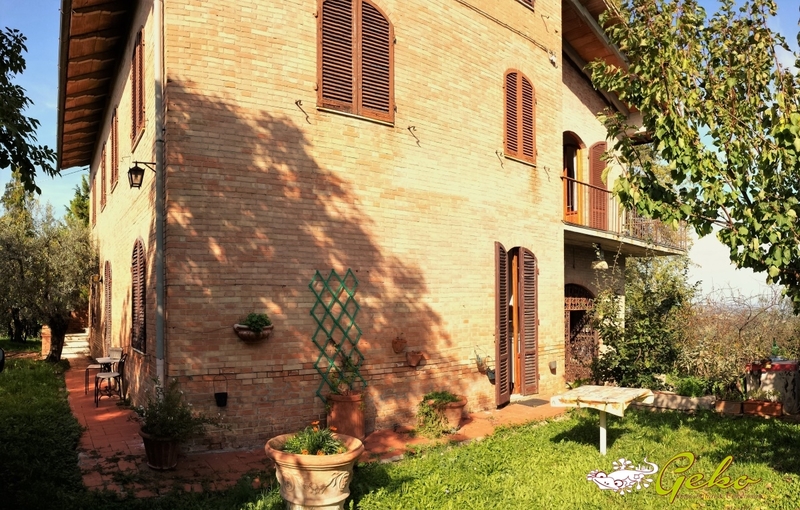 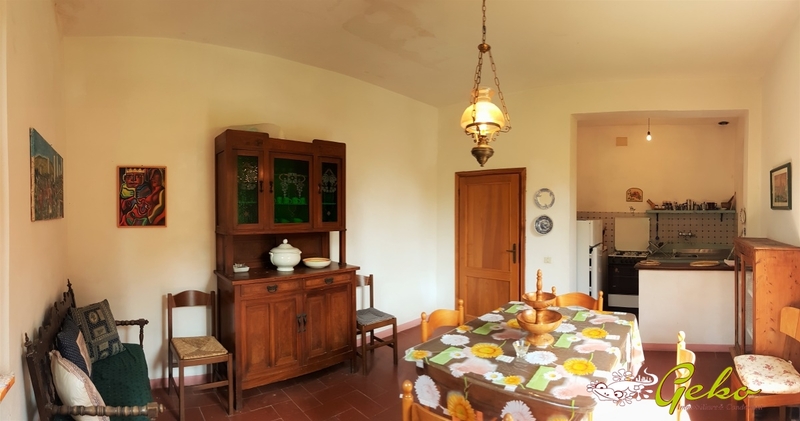 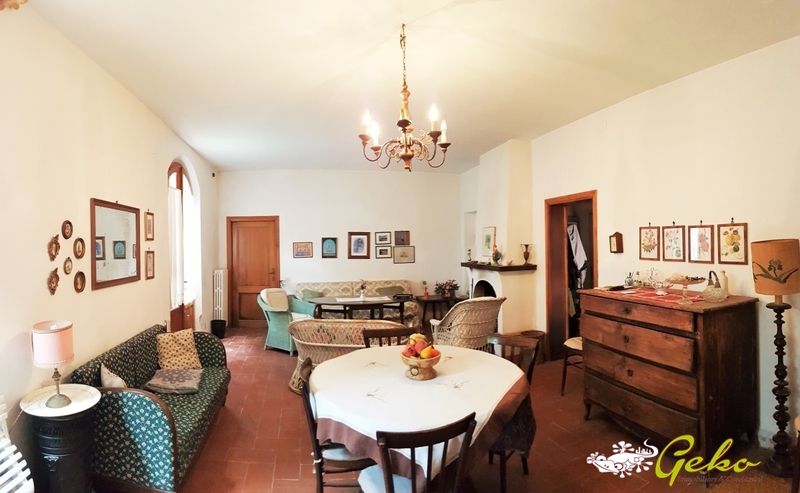 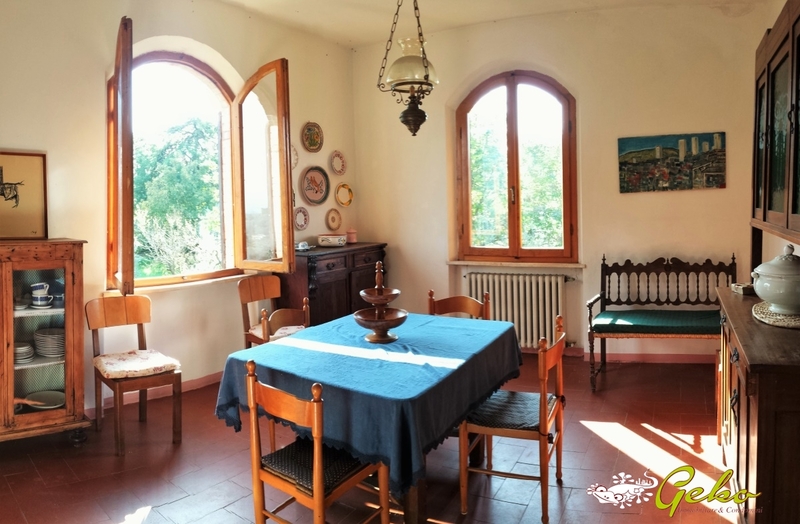 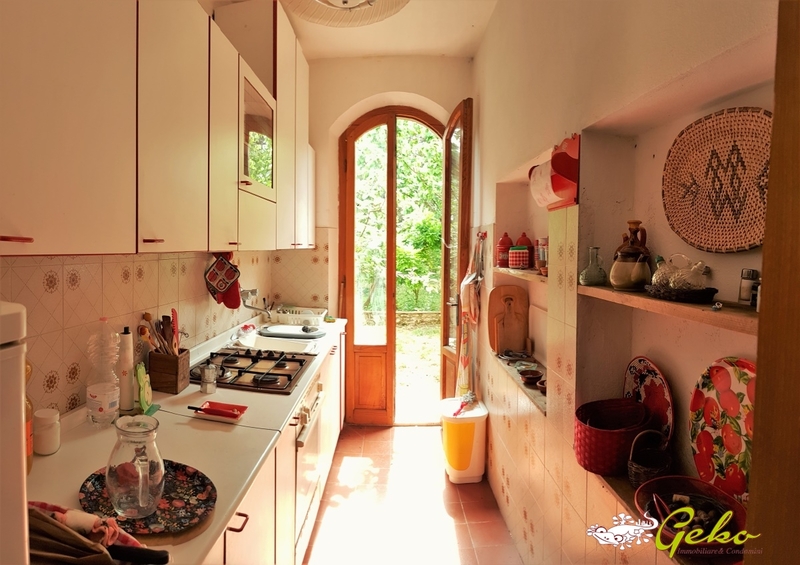 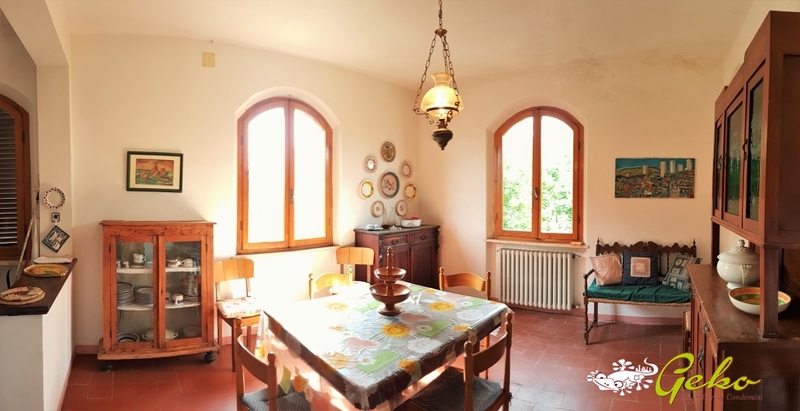 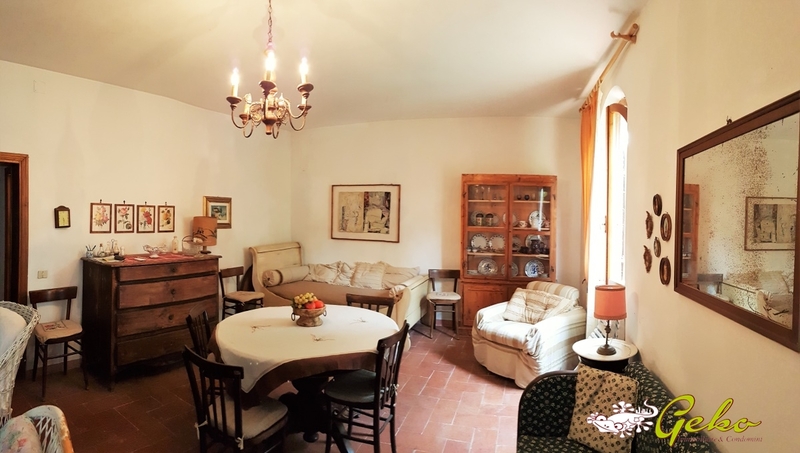 For SALE rural farmhouse situated in the countryside of San Gimignano, just 2 km far from historical centre thatd can be reached by walk distance of 10 minutes. 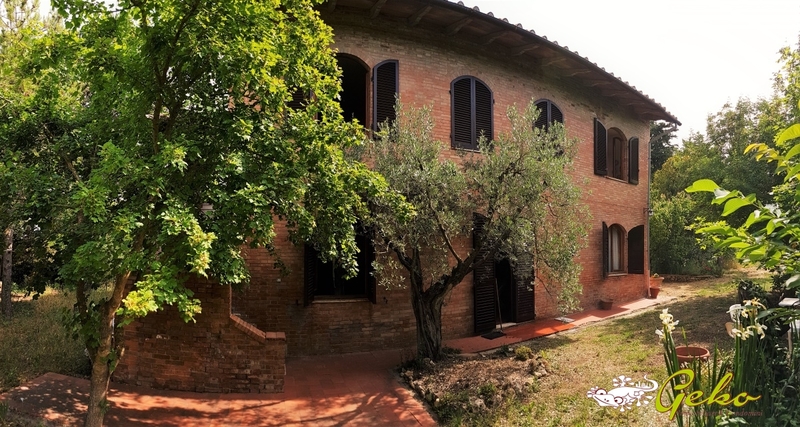 The House is completely indipendent, with a short stretch of dirt road, has a large park of olive and cypress trees surrounding the House. 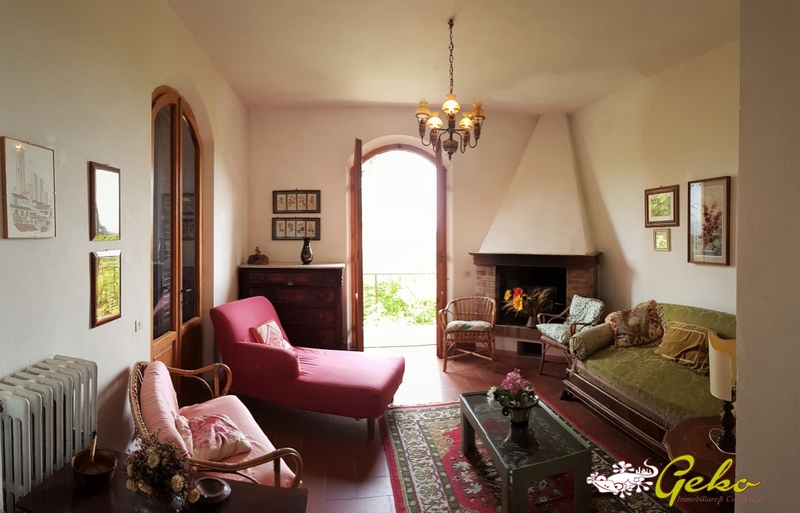 The property is divided into two apartments with independent entrances: on ground floor 84 sm with kitchen, bathroom, living room with fireplace and a double bedroom, large warehouse from 55 sqm with double entrance; on the first floor the nice entrance through a porch and a large living room with fireplace, 2 double bedrooms 1 small bedroom, utility room , 2 bathrooms, large kitchen with dining room, beautiful terrace surrounding 2 sides of the House with unique view over the Tuscan countryside of olive groves and vineyards; large attics of over 100 sqm loft semi-open. 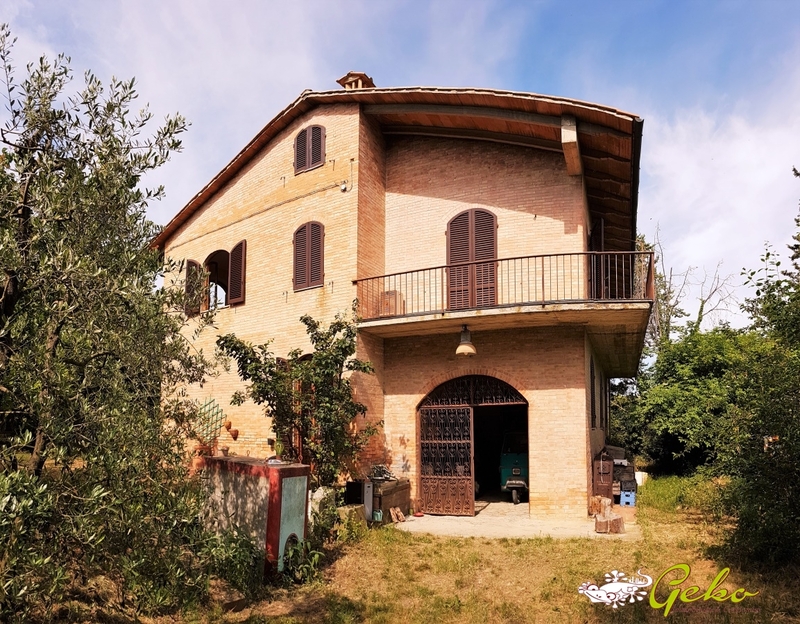 The price includes approximately 2700 square metres of land near the House and over 24000 square meters of farmland 1 km away from habitation composed of olive trees, vineyard, arable, Walnut Grove and orchard. 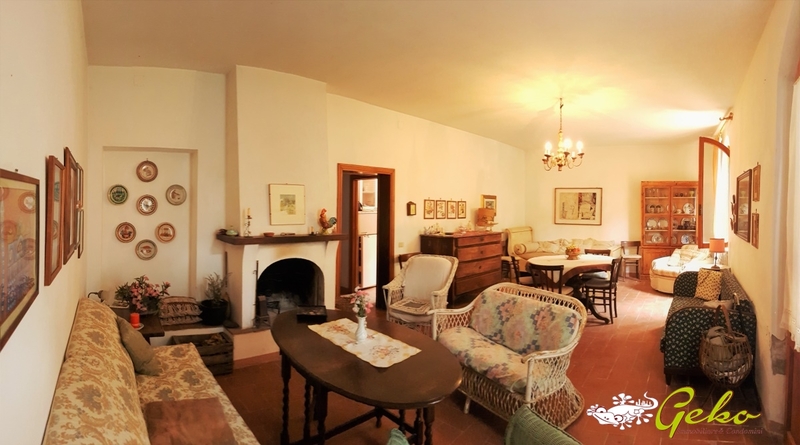 The structure an ideal investment for an agritourism activity or to be allocated to residential house, the House need to be fixed but due the location in a sought after area makes this a very interesting investment properties.